Sir Richard Branson is one of the worlds most intriguing, succesful and enduring entrepreneurial business leaders out there. As the founder of the Virgin Group, he has established a very interesting background and approach to both leadership and where he chooses to put his resources to work. He is an extremist in serial entrepreneurship and has a very interesting and exciting leadership style, seemingly not picked out of any regular handbook in management styles. Born in Stowe in the United Kingdom in 1950, his first business venture was a student paper, which he started at the age of 16. He started this after having decided to drop out of school. The decision to drop out of school might have been initiated by his seemingly troublesome period in his elementary school. He has a diagnosis of being dyslectic and performed poorly in school(8). In the 1970s Branson started a mail-order business and later a record label. Two years later the business was expanded with record stores named Virgin Records(7). 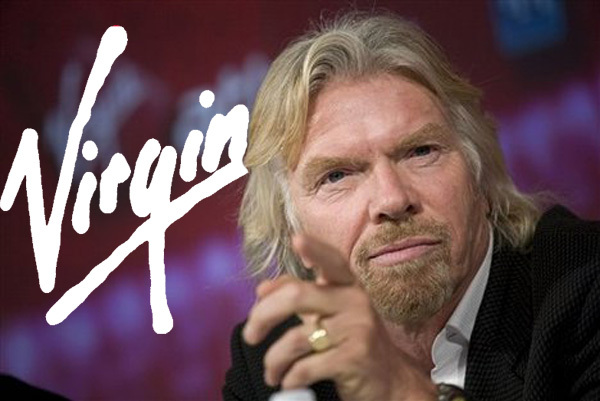 The Virgin brand grew during the 1980s and 90s and Branson ventured into airlines (Virgin Atlantic Airways) and also started a Virgin record label in America. In 2005 Branson started Virgin Galactic, a space tourism company, where the intention is to eventually reach orbital trips around the globe as well as going to the moon(1). Today the Virgin brand has over 200 different businesses(4). DuBrin(2) states that a leader is a figurehead for his or her organisation, entertaining clients and serving as a spokesperson for the organisation. Branson is by all means a figurehead for Virgin, and perhaps even more important than the brand itself. When Virgin Cola launched he charged into Times Square with a tank, symbolically starting a war with Coca Cola and Pepsi(1). This is by no means a normal act of any marketing manager. This is a move made by a courageous entrepreneur with a sense of what makes it to the headlines and sticks in peoples minds. DuBrin(2) mentions a number of characteristics and personality traits associated with being an effective leader. According to the authors, passion is essential for task accomplishment. Passion is often more present in entrepreneurial leaders and Sir Richard Branson should be regarded as a passionate leader. On the Virgin group website(5) the company mentions “giving birth” to companies and “holding their hand” through the organisational development. This is by all means a supportive standpoint, far away from the quarterly run businesses of many other stock exchange businesses. Another important leadership personality trait according to DuBrin(2) is courage, which means taking risks and initiatives. An example of his courage might be when he under heavy competition in the US decided to sell out Virgin Records to save the financials of Virgin Atlantic. In that deal he also decided to switch bank due to poor support and advice for Virginia Records. An example of Branson’s willingness to take risk is his venture into space tourism with Virgin Galactic. That business is by no doubt regarded as extremely courageous and risky. But at the same time driven by the same reasons as any other business, profit. Branson has worked closely with Scaled Composites to develop a tourism spacecraft(9). As he puts it, it was a very risky act that could have gone totally wrong(10),(13). However Branson is not a stranger to risk management, according to an article in Time(6). He commonly starts out small and shares the risk with other investors. His companies are also loosely connected according to the article, to minimise risk for each party. DuBrin(2) claims that another important cognitive factor of leadership is to know the business you are in and the competition your company is facing. Branson is often very knowledgeable in the businesses he operates. In an interview for Time(6) he talks about eliminating “the spoke and hub approach” that many airliners have and initially focusing on direct flights between busy airports where the demographics correspond to the Virgin brand image (young and hip). One of the most important cognitive factors is creativity according to DuBrin(2). Richard Branson’s ventures portray creativity, venturing into airliners using new creative measures such as touch-screen ordering of food and comfortable planes. This comes in an era where most other airliners are figuring out how to remove the last remaining frills to cut costs. Another interesting leadership trait is having insight into situations. This helps speeding up decision-making according to DuBrin(2). It has to be regarded that Branson has insight into different situations, for example his venture into space tourism. 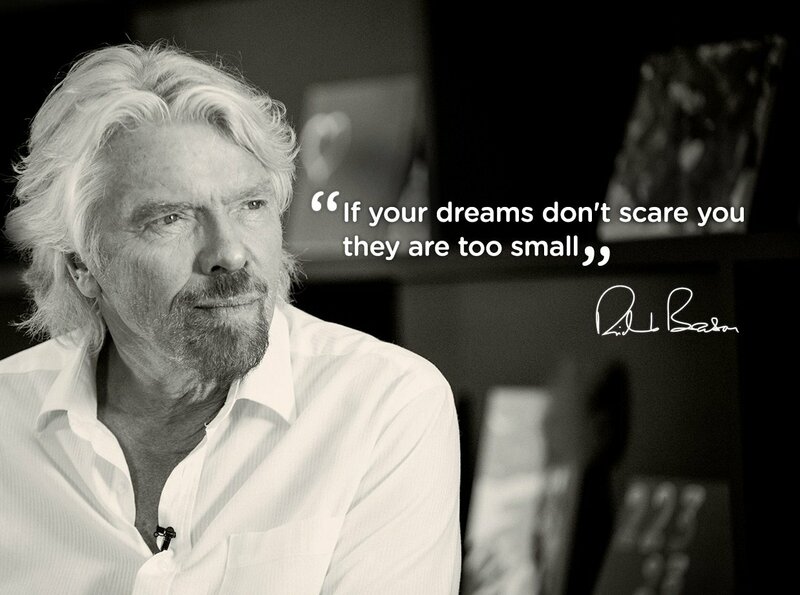 Sir Richard Branson is determined to do the right things. “Above all, you want to create something you are proud of…. That has always been my philosophy of business. I can honestly say that I have never gone into any business purely to make money. If that is the sole motive, then I believe you are better off doing nothing”(11). Further, in a CBS interview(10) he is talking a lot around his environmental engagement and the fact that he is extremely fortunate to have the option of being able to help around environmental research. He seems not to be driven by earning a lot of money, but he strongly adheres to the capitalistic system(10). According to a quote from Richard he has never had the goal of becoming a businessman or an entrepreneur(11). “My interest in life comes from setting myself huge, apparently unachievable, challenges and trying to rise above them”(11). One of his strong characteristics, besides his charisma, seems to be his adaptability to situations. It is strongly developed and witnessed by him turning the situation named as the “dirty tricks affair” in which he had a battle with British Airways”(10), (13). “You can’t be a good leader if you don’t genuinely like people” is sir Richard Branson’s own words on how he defines good leadership and management style. He is coming forward as a very humble, friendly and down-to-earth human being, judging from several of television(10) and newspaper interviews given. He has constantly acted in a way that has kept him out of the “bad” limelight(13). Richard’s parents taught him from early years to stand on his own two feet. His own examples of actions that have formed him are mainly two. The first time was at the age of six when his mother shoved him out of the car and told him to find his own way home. The second example was when he as a 10 year old boy was put on a bike to ride for 300 miles. The lessons told him about endurance and leadership qualities(12). Sir Richard believes that he has learned his management skills through trial and error since founding his first business at the age of 16. Branson’s main efforts during his day are put into effective time management. He divides his days equally between trouble shooting, new projects and promoting his businesses(12). He is considered being a genius at handling and preparing PR activities and is never afraid of being in the front line of it, to bring maximum momentum to the PR event. Another developed skill is the possibility of delegating work to his colleagues and management staff and taking a step back. He spends a lot of time in the early days of a new business, drawing the big picture and helping the management setting the business plan and the way forward. When this is done he takes a step back and let’s the management get a stake in the business and drive it forward. ”The company must be set up so that it can continue without me”. Sir Richard is very thorough in hiring the right people. He is known for bringing in good managers and getting them to stay. If they don’t perform at an existing assignment he brings them into another venture where the person is more likely to perform according to his capabilities. ”Look for the best and you’ll get the best”, is his words. Firing people is seldom an option to sir Richard. To manage the colossal amount of companies within the Virgin group, that at the same time are very autonomous, Virgin has formed Virgin Management Ltd. This is a central company and organisation to assist the different daughter companies in their daily choirs of running the business(5). Sir Richard Branson comes from a simple environment where his parents taught him to take care of himself. He had a difficult time in school and dropped out at the age of 15. This upbringing must have hardened him in many ways. But his appearance is not at all the appearance of a hardened and bitter leader. Instead he embraces life and is giving a slightly shy appearance sometimes. His care for the environment and the suffering in the world shows the face of a caring and sharing personality. He seems to be a very caring and involved leader who listens to everyone who approaches him with something to say. Sir Richard is driving and firm in his involvement in the companies he’s invested in. Although he lacks every trace of having taken any management courses he seems to fit pretty well into the management theories given in the subject of entrepreneurial leaders. He seems very likeable and professional in his leadership style. Despite his enormous wealth he claims that making money never is the goal of making business. This is a bit contradictory, when judging successful wealthy leaders and comparing to the general impressions they give. But Branson seems to act according to what he claims, and thereby he is also considered to be a trustworthy leader. Sir Richard has got a very high degree of consideration and participation in what he does, but at the same time he is very involved in the structure setting at the start of a new business. He is definitively a relationship-oriented leader who is good at aligning people and giving them emotional support and encouragement. He seems to fall into the segment of being a participative and consultative leader. His very strong charisma seems to make anyone listen and follow him. I conclude that Richard Branson has got the style of a transformational and charismatic leader, which most of us only dream of working for or with. At least I do. Another dream of mine is to get Sir Richard’s own opinion on this review of him as a leader, delivered through a two hour long interview of him on his island, sharing a nice bottle of red wine. But that will most probably stay as a dream, as will the wish of working for or with a leader as Sir Richard Branson.